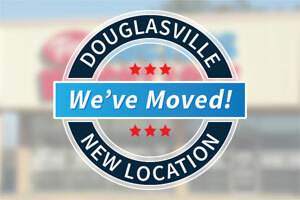 Our Douglasville Location has Moved! Our Douglasville office has permanently relocated to 6842 Douglas Blvd in the Boulevard shopping center. First Doctors Weight Loss in Douglasville is now open at our new location. Our phone number and contact information will remain the same. Located in the Boulevard shopping center.